RNC Video: #Grubering #GruberGate #Grubering. RNC chairman Reince Priebus said in a statement. Jonathan Gruber Made Over $4 Million Pimping Obamacare & Lying to “Stupid” Americans Who Lied? Nancy Pelosi Mocks Reporter Luke Russert for Offensive Question, You Leaving? Nancy Pelosi, House minority leader mocks reporter Luke Russert for offensive question for younger leadership. I assume Rep. Debbie Wasserman Schultz (D-Fla) isn’t in line for your job. 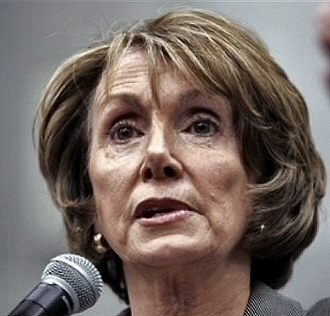 Go get some more plastic surgery Ms. Nancy so your face can’t move. Yes to term limits in Congress. Mute Button, attack ad by Mitt Romney. The Washington Post’s Bob Woodward reported that during negotiations on the stimulus, President Obama called the leaders of the Democratic Party: Speaker Nancy Pelosi and Senator Harry Reid. As he spoke, Speaker Pelosi muted the phone and went on with the meeting. If he cannot lead his own party, how can he lead America?